Jellyfish may be some of the most fascinating creatures in the sea, and they are certainly among the most beautiful. Often seen in groups—called swarms, blooms, or smacks—these ancient ocean invertebrates can be transparent, yellow, red, blue, and even effervescent. Jellyfish capture prey and defend themselves by emitting toxins through painful stings. To celebrate today’s holiday, visit a local aquarium or—if you live in a climate where jellyfish are present at this time of year, head to the beach to watch them in their natural habitat. Copyright Jarrett J. Krosoczka, 2014, courtesy of Knopf Books for Young Readers. Jellyfish bravely stood up to Crabby, saying, “‘driftwood and sea stones may break our bones, but names will never hurt us.’” Of course, Crabby had a retort to that which involved the fact that Jellyfish was an invertebrate. One day, as Peanut Butter and Jellyfish passed Crabby’s house on their way to the big reef, they steeled themselves for the insults to come. But all they heard was quiet – until the sounds of sobbing reached their ears. They swam on and found Crabby trapped in a lobster pot that was being pulled to the surface of the water. He called out to them that he was scared. Jellyfish and Peanut Butter looked at each other. Was it their responsibility to help Crabby? Peanut Butter thought that his situation looked pretty serious. And Jellyfish agreed. He even had a plan. The two friends swam up to the lobster trap, and Peanut Butter wrapped his tail around a slat in the door. When he pulled it open, however, Crabby didn’t move. Peanut Butter wanted him to hurry, but Crabby had a confession to make. He couldn’t swim, and he was afraid of heights. Now, Jellyfish had an idea. Jarrett J. Krosoczka’s seafaring friendship story for little ones uses humor and a generosity of spirit to teach kids a lesson about empathy. Readers may giggle over Crabby’s taunts, but they will also understand the hurt they cause Peanut Butter and Jellyfish. Following this, the kindness showed by Peanut Butter and Jellyfish toward Crabby when he is in trouble then comes as a powerfully surprising message on compassion. Crabby’s willingness to admit his fears, own up to his jealousy, and apologize, as well as the trio’s growing friendship, provides many thought-provoking topics for children to consider. Krosoczka’s illustrations of the undersea world give readers plenty of details to enjoy while adorable Peanut Butter and Jellyfish take center stage. When their sweet smiles give way to wary looks, kids will know trouble is on its way. Each scene during Crabby’s entrapment and escape provide gentle suspense while demonstrating the story’s themes of understanding and acceptance. As the three explore a chest overflowing with gold in the final spread, readers can debate what the “greatest treasure” is. Discover more about Jarrett J. Krosoczka, his books, and his art on his website. Watching a jellyfish float on the ocean current can be mesmerizing! 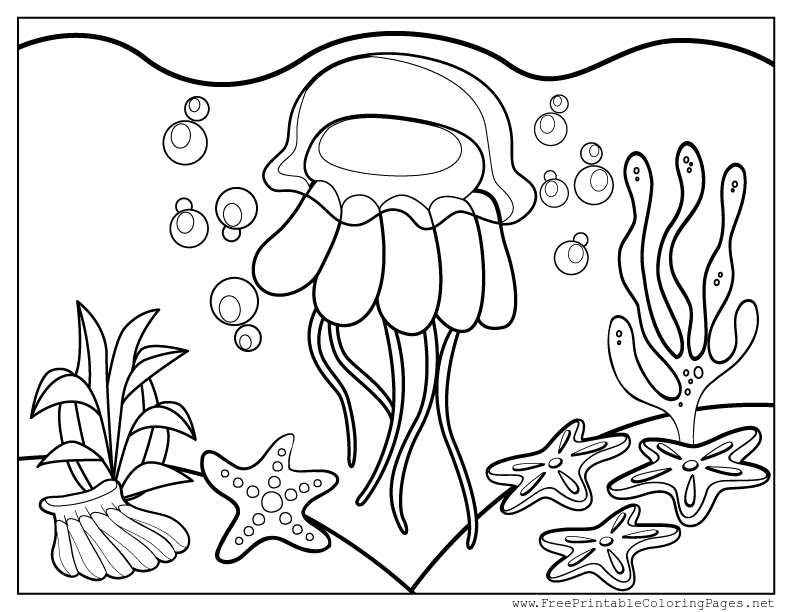 Grab your colored pencils, markers, or crayons—and maybe some glitter too—and enjoy this printable Jellyfish Coloring Page! 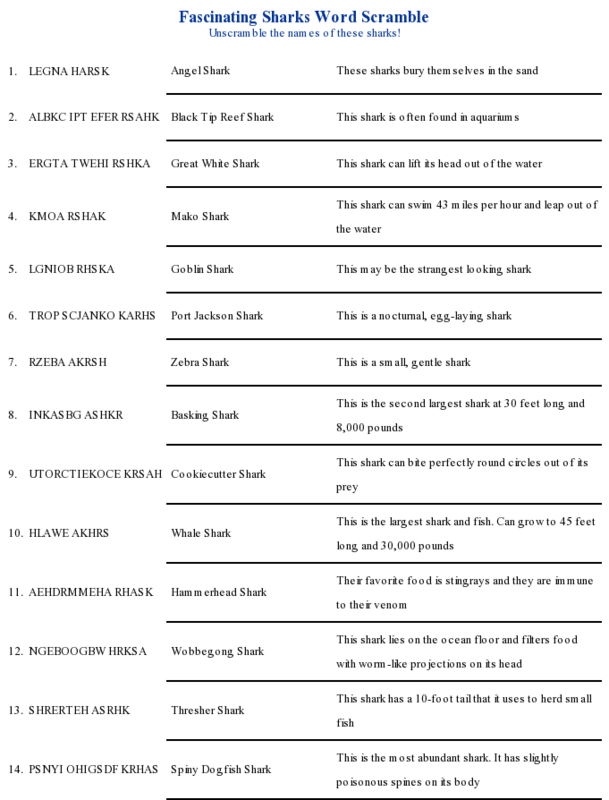 Today we take a moment to consider the benefits sharks provide to the marine ecosystem. Every year thousands of sharks die and their species threatened due to misconceptions and misuse. As a predator at the top of the food chain, sharks play a crucial role in maintaining balance within the ocean. Protecting this often-misunderstood species is an important goal. Nugget & Fang: Friends Forever—or Snack Time? Image copyright Michael Slack, 2013, text copyright Tammi Sauer, 2013. Courtesy of HMH Books for Young Readers. During Math class the students solve a word problem: “What if there were ten minnows and a shark came along and ate four of them? How many minnows are left?” Nugget is scandalized. “‘A shark would never do that!’” he says. 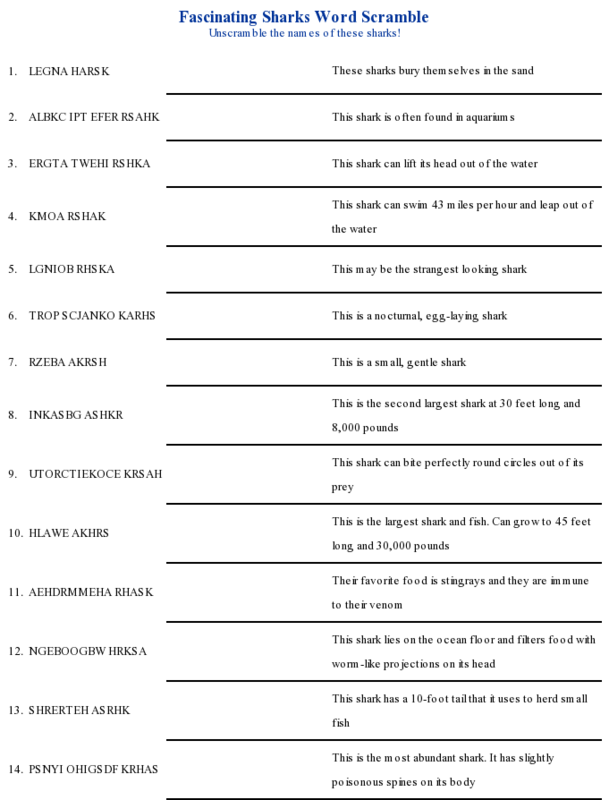 But Science period reveals the facts of the Marine Food Chain. Nugget protests that sharks aren’t scary. “‘My best friend is a shark!’” he announces. His classmates are shocked. “Have you lost your gills?” one asks. Another snarks, “Hello—sharks eat minnows!” Nugget can’t believe it. Image copyright Michael Slack, courtesy of HMH Books for Young Readers. Back home Nugget gives Fang the bad news. “‘Sounds fishy to me,’” says Fang. Nugget assures him it’s true before swimming far away. “Fang’s heart sank.” He can’t help if he’s “toothy,” he thinks, and he knows he doesn’t mean to be scary. He wants his best friend back. To prove it Fang tries different tactics. On Tuesday he dresses like a mermaid, but Nugget and the other fish see through his disguise. “‘Oh, my algae!’” exclaims Nugget. On Wednesday Fang sends a beautiful sea plant arrangement with a note—“Dear Nugget, I’d love to have you over for dinner.”—which is misinterpreted in the worst possible way. On Thursday Fang pulls out all the stops. He gets a “Nugget” tattoo, sends a special message and gift, and performs an original song and dance, but nothing works. On Friday Fang is sadly resigned to being alone. While he mopes and cries, he doesn’t see that a fishing net has been lowered to the ocean floor, capturing Nugget and the other minnows. “Help!” shouts Nugget as the net is slowly lifted. Fang wrings his fins, uncertain of what to do. Suddenly, he has an idea. With his big sharp teeth he chomps and chews and tears the net to pieces. Nugget and the minnows swim to safety. They all stare at Fang wide-eyed. Fang dejectedly begins to swim away. “‘I know, I know,’” he says, “‘I’m toothy. Too scary. Too…shark.’” “Wait!” calls Nugget and uses a little math of his own. “‘There were ten minnows, and a very special shark came along. How many friends are there altogether?’” Now eleven friends live happily deep in the ocean, and everyone—especially Fang—are all smiles. Tammi Sauer’s tribute to true friendship reveals the danger when “facts” take precedence over what you know in your heart to be true. Her reminder to listen to your inner voice is approached with humor and the honest types of doubts that can niggle and cloud judgement. Throughout the story, her language is accessible and kid-conversational, including puns that will elicit giggles. Sauer’s use of a math word problem to both highlight contrary thinking and provide a solution underscores the influence of education. Nugget & Fang is a wonderful book for kids navigating the school and activities environment while making new—and keeping old—friendships. Michael Slack immediately sets kids in the right mindset with his bright, cartoon-inspired illustrations. Tiny, colorful Nugget and bold, blue Fang, his “toothiness” on display through his big grin, make a happy, nonchalant pair. They play together through vibrant green, yellow, and purple reefs unaware of marine stereotypes. When Nugget gets “schooled,” his astounded expressions and those of his classmates, humorously depict their predicament. The ocean environment gives Slack an opportunity for plenty of visual jokes and innovation. The Reading teacher holds a clamshell-shaped book, a piece of shipwrecked board serves as a Math blackboard, and the Science food chain poster is appropriately scary. Kids will laugh at Fang’s attempts at reconciliation, and cheer when he becomes a hero. Nugget & Fang: Friends Forever—or Snack Time? is sure to be a favorite story time read and would be an often-asked-for addition to home and classroom bookshelves. 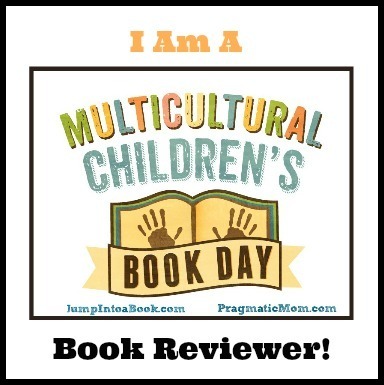 To learn more about Tammi Sauer and her books, visit her website! View a gallery of work by Michael Slack on his website! 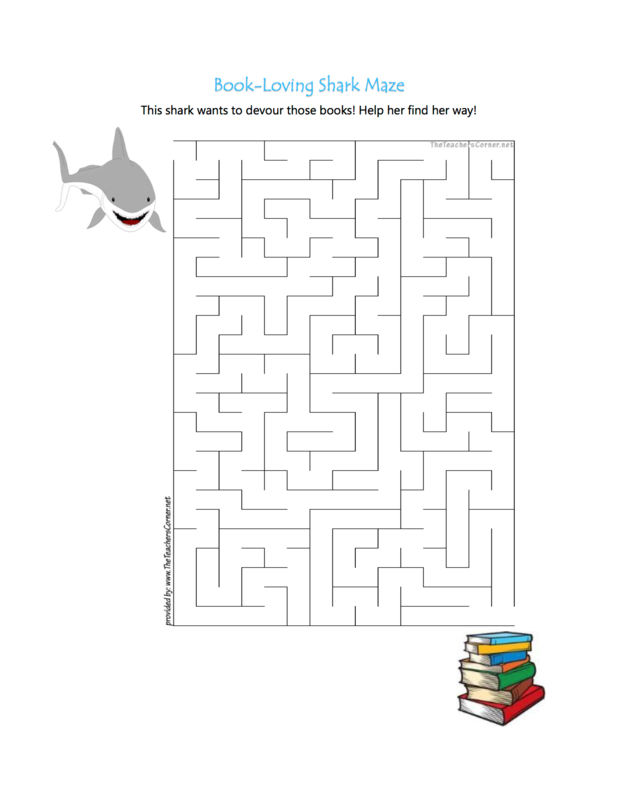 Visit the Houghton Mifflin Harcourt Nugget & Fang page for more goodies! Will everything go swimmingly for Nugget and Fang? Watch the trailer and see! Are some of your favorite things scattered here and there? Would you like to be able to get a good clamp on them? Then here’s a craft you can really sink your teeth into! This shark organizer jar is easy and fun to make and a fin-tastic way to keep your stuff tidy! What’s your definition of fun? Is it going new places? Meeting new people? Laughing with friends? Getting in on the latest trend—or setting one of your own? If it’s one—or all—of these, you’ve just described reading! This week is dedicated to discovering the enjoyment that delving into a great book can bring at any age! To celebrate, stock up on books old and new and have fun reading! The camera crew is ready, the sound engineer is holding the mic, and the director is counting down to the snap of the clapper for the latest episode of Underwater World with Bob. Bob is holding his own against the current, poised to begin his monologue. The show goes live, and Bob, smiling at the people, is about to announce some fun facts when…Shark!…the broadcast is interrupted by the sharp teeth and wave-slicing fin of a Great White. Image copyright Scott Magoon, 2018, text copyright Ame Dyckman, 2018. Courtesy of Scholastic. Shark is just about to gulp down a little gold fish when Bob alerts him to the people watching. “‘The PEOPLE can see me?’” Shark says, a starlit glint in his eyes. Understanding the pulse of the audience, Shark offers, “‘You misunderstood! I wasn’t going to eat him.’” It seems Shark just wanted to show off his new pearly white. The consummate host, Bob uses this diversion to his advantage and reveals a Fun Fact about a shark’s tremendous dental abilities. Bob’s even willing to include this interloper in his show—kind of a Shark-on-the-sea type of interview—but when he looks, he discovers Shark zooming toward the surface and an unsuspecting baby seal, fangs at the ready. Bob shouts to leave the baby seal alone in front of the people, and, again, it seems Bob has misunderstood Shark. He has the seal gripped so tightly only because he’s taking her back home. This brings up another Fun Fact about a shark’s dining habits from Bob and a corny joke from the sound engineer. Bob is humble enough to admit he may have been wrong—yet again—about Shark, but Shark has disappeared and his following his nose to…. Bob hurries after Shark in pursuit of his exclusive and the answer to the burning question “‘What do you smell, Shark?’” but Shark is on a mission to find the source of the red stuff tinting the water. Bob pops up with another Fun Fact, but his crew is scrambling to get out of the way. Copyright Scott Magoon, 2018, courtesy of scottmagoon.com. With Shark zeroing in on his human target, Bob drops his mic, throws out two tentacles and tries to stop him” “‘Nooo, Shark! Don’t eat the people—IN FRONT OF THE PEOPLE!’” But Shark is nothing if not a performer, and once again he’s been misunderstood. He only wanted to help. Now there’s chaos on the beach—screaming and running—but Shark is mystified. Then he breaks out in tears. No one, it seems, understands. Bob uses this touching moment to tell his audience that “you’re actually thousands of times more likely to be bitten by another person than bitten by a shark.’” Shark now needs a hug, and Bob obliges. Awww…so sweet! But, wait! Shark is a shark, and he just can’t help himself. And Bob? He’s suddenly got the inside scoop, but he rolls with it—after all, the show must go on! I laughed, I cried, it became a part of me! Ame Dyckman’s hilarious fish tale will have kids rolling with laughter as the show Underwater World with Bob goes awry when a wily shark works the audience to gain sympathy and, ultimately, a little snack. The wise-cracking production crew adds to the freewheeling fun with jokes and humorous asides. As Bob maintains his professional composure amid the chaos, readers learn some fascinating shark facts and can’t be faulted for hoping Shark is at least nominated for an Emmy. Kids of all ages will love shouting along with the frightened crew as much as they enjoy echoing Shark’s reassuring phrase. Scott Magoon is a master at eliciting a vast array of emotions from his cartoony characters. Jellyfish Bob is at turns professional, upbeat, disgruntled, apologetic, suspicious, and taken in with just a few touches to his eyebrows, eyes, and mouth. Likewise, the squid crew react to the ever-changing set with aplomb while also sharing their disbelief and some funny banter. Magoon’s stocky Shark, however, is the star of the show with his innocent guise and not-so-hidden ambitions. The histrionic waterworks at the end will tickle kids, and Bob’s resigned tip of the hat is the perfect send off to this fintasticly funny story. Magoon’s periodic shift from the ocean backdrop to the “audience at home” puts readers front and center to all the action. 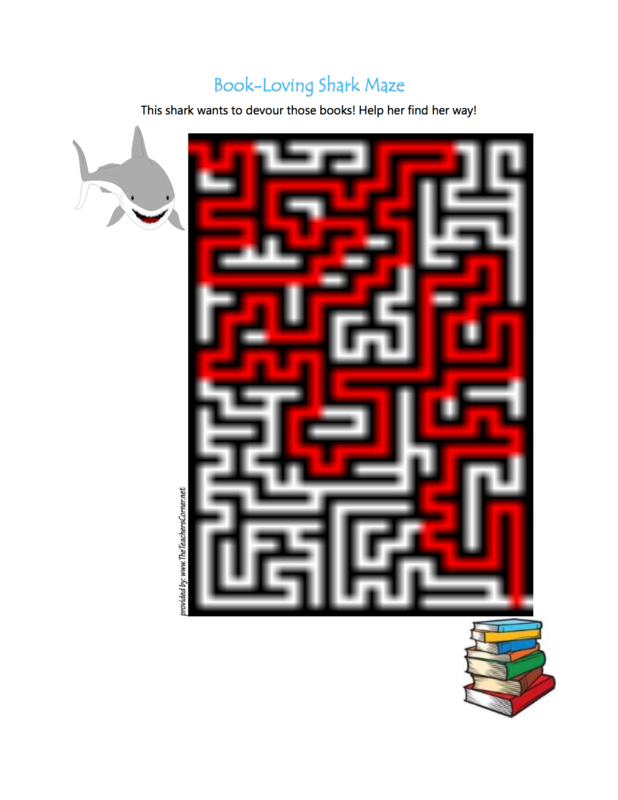 Misunderstood Shark is must summer reading (dynamic readings are sure to inspire pool and beach fun), and the book would be a much-asked-for addition to home bookshelves now and classroom libraries for the fall. To learn more about Scott Magoon, his books, and his art, visit his website. Swim on over and watch the Misunderstood Shark book trailer! To be entered to win, just Follow me on Twitter @CelebratePicBks and Retweet a giveaway tweet during this week, May 14 – May 21. Already a follower? Thanks! Just Retweet for a chance to win. A winner will be chosen on May 22. Giveaways open to US addresses only. | Prizing provided by Scholastic, Inc.